ICAB Construction/NV automatically generates industrial buildings, the loadings of snow and wind on buildings covered and the effects of catch to the wind on structures lattice according to rules' NV65 modified N84 2000 . The live load and dead load weight are created simultaneously as well as the standardized combinations.
. the structure is created and the function "loading neige/vent" is connected.
. The function "taken with the wind" generates the effects of the wind on all the beams of the structure.
. The efforts of trail, bearing pressure and drive apply automatically to the profiles rectangular, tubular, I, H, U, Tés, angles.
. The wind can blow in an unspecified direction and a speed (Vx, Vy, Vz). Effect of the wind on construction prismatic at regular or circular polygonal base. In accordance with chapter 3 of rules NV65, the effect of the wind on prisms such as silos, cylinders, tanks, is taken into account on the surfaces modelled by elements of the type "shell". 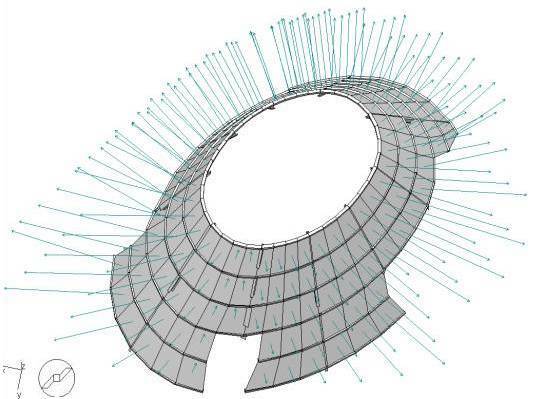 The loadings are generated automatically on the complete structure starting from the indications of the climatic areas of snow and wind for plane or three-dimensional structures. These loadings are generated on an unspecified structure or a structure obtained by the function "industrial building". The loadings of snow integrate the slope of each roof and the zones of accumulation. 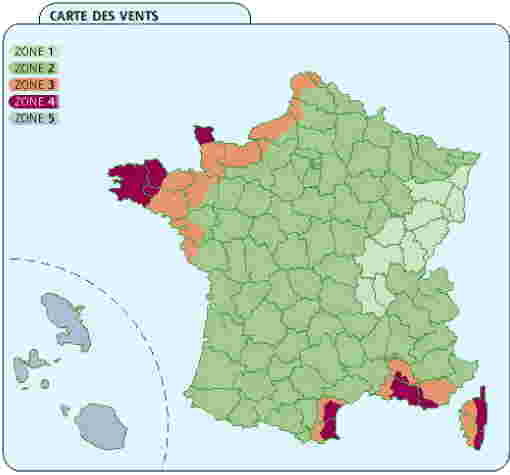 The wind is generated on all the frontages and roofs (Western, East, Southern, Northern) with the taking into account of the possible openings (permeability of the frontages), of rise compared to the ground, the possible flows of air under construction, of the local actions on the eaves (banks) or acroteria, of the reductions in protected zone. The loadings nonrelated to the effects of snow or the wind are included (boardings, floors) as well as the overloads of exploitation. The regular combinations are generated automatically and can be supplemented by the user. Application ICAB Construction/NV is a whole of functionalities which are added to software ICAB Force. ICAB TM registred trademark by ICAB SAS Copyright © 1991.